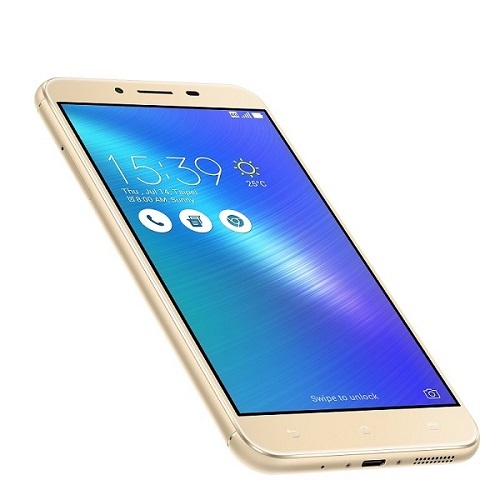 Zenfone 3 Max model no. ZC553KL is a 4G Dual Sim (Slot 1 Micro SIM 3G/4G & Slot 2 is a Hybrid Slot : Nano SIM (3G/4G) / Micro SD. It is equipped with a powerful Qualcomm Snapdragon 430 64-Bit Octa-Core Processor which is coupled with an Adreno 505 Graphics Processor. The Smartphone provides a greater responsiveness and ability to run Graphically Demanding Games very smoothly. It has 5.5 inches 1080p Full HD IPS display with 2.5D Contoured Glass layer on top of it. Zenfone 3 Max has 3GB RAM with support of 32GB of onboard/ inbuilt storage capacity which could be expanded upto huge capacity of 128GB with its hybrid Sim Slot no. 2/ MicroSD Card Slot. 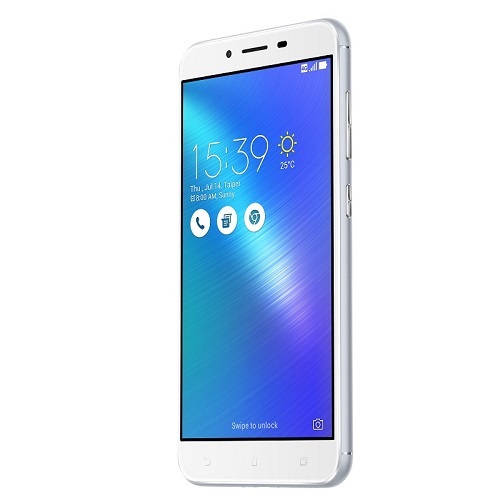 Zenfone 3 Max runs on latest Android Operating System Marshmallow v6.0 with latest ZenUI v3.0. 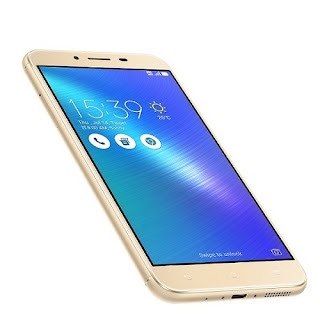 This Smartphone equipped with a Pixel Master Dualtone Dual LED Flash supported 16MP Primary Camera with F/2.0 Aperture speed that features Triple Technology Auto Focus System which ensures a Superfast Focus Time of 0.03seconds.— Laser, Phase Detection and Conventional Contrast Detection for continuous Auto-Focus — into one harmonious system that automatically selects the best one depending on the subject, lighting and range. An Electronic Image stabilization (EIS) system counteracts hand movements to ensure the resulting videos are Stable and Shake-Free when shooting handheld videos with Zenfone 3 Max. Backlight – Super HDR – Low Light – Selfie – Time Lapse – Panorama – Beautification – Effect Modes enhances the camera quality. It has capability of 64MP Super Resolution in it. On its Front Panel it has 8 MP Pixel Master Secondary Camera with F/2.2 Aperture speed which comes with HDR – Low Light and Beautification Modes. ASUS claims that it has superb Low Light Selfie feature support. For connectivity it has Bluetooth 4.1, WiFi-802.11 b/g/n, WiFi Direct, WiFi Hotspot, 4G LTE : Category 4 – 150Mbps Download and 50Mbps Upload speed. It also has a Fast sensing Fingerprint Sensor on its rear panel with 0.3second unlock speed that can store upto Five finger scans to use with different apps and features. This handset comes with ICE Powered enhanced speaker quality with Dual Microphone with Noise Cancellation and an Audio Wizard for enhanced audio experience. It packs a 4100mAh powerful battery and power-efficient processor for long lasting digital experience. Zenfone 3 Max allows extended use of the phone with up to 38 days of standby time on 4G, 17 hours of talk time on 3G, 72 hours of music playback, 18 hours of video playback and 19 hours of Wi-Fi Web browsing. It is specifically designed to meet with the demands of the user and to enhance mobile experience while using this Zenfone Max 3 Smartphone. Dimensions of the handset are 151.4mm x 76.24mm x 8.3mm and it weighs 175gms. and it has three color options - Titanium Gray, Glacier Silver and Sand Gold. It is priced at Rs. 17,999/-only. Body Structure Premium-Crafted All-Aluminum-Alloy Design With 2.5D Contoured Glass - Slim 2.25mm Bezel and 73% Screen-To-Body Ratio. Zenfone 3 Max ZC553KL will be available by the end of November 2016.